Nestled in the historic Northeast neighborhood of Kansas City, 25 refugee families are cultivating new communities and new lives as they transform abandoned lots into flourishing gardens – all thanks to a partnership between Jewish Vocational Service (JVS), The Health Care Foundation, The Land Bank of Kansas City and Kansas City Community Gardens. Founded in 1949, JVS’s original purpose was to assist Holocaust survivors, refugees and those returning from WWII in the transition to post-war life in the United States. JVS’s current mission remains much the same as it continues work with refugees from around the world adapting to new cultures and others who face barriers to employment. Begun just four years ago, the JVS community garden project has grown yearly, particularly popular among refugees already experienced in agriculture. JVS’s Global Gardens are predominantly within walking distance of refugees’ homes. The gardens vary in size, supporting from seven to thirteen gardeners at the largest site. Family sizes vary in the project, but plots feed families with up to nine children. Plot sizes average about 7 feet X 20 feet. Ten months into fiscal year 2018, the JVS community gardeners have grown nearly 800 pounds of produce. “In a survey we did to revamp our agricultural classes, some of our families indicated that they hadn’t had to purchase vegetables since they started harvesting from their gardens,” noted Sommerkamp. Sommerkamp takes orders from the JVS families and fills their seed and plant requests for each growing season through Kansas City Community Gardens. KCCG also supports Community Partner Gardens with access to mulch, fertilizer, tilling, tomato cages, along with tools and gardening expertise. KCCG’s reach extends to support some 265 Community Partner Gardens in the Kansas City area, all of which aim to inspire gardening and build communities of people who work to enhance food sustainability. 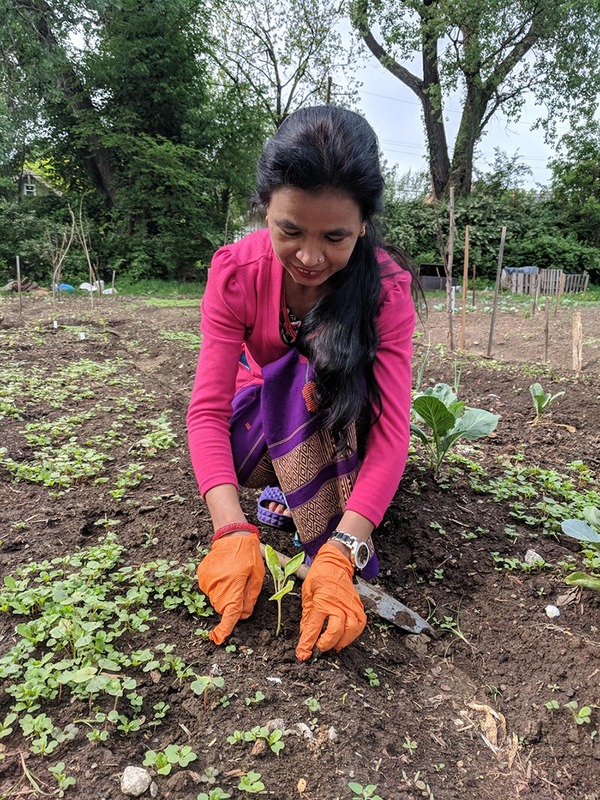 Most recently Congolese, Bhutanese and Burmese were among resettled refugees who have found the JVS Garden opportunities. The new residents embrace diversity in their Kansas City gardens, experimenting with new crops, as well as growing plants necessary for their own cuisine, some homeopathic plants and flowers for festivities. Amaranth, grown for its leaves, is also a particular favorite in the gardens. The JVS Global Gardens are open to all refugees for three years, after which they “graduate” from the program. 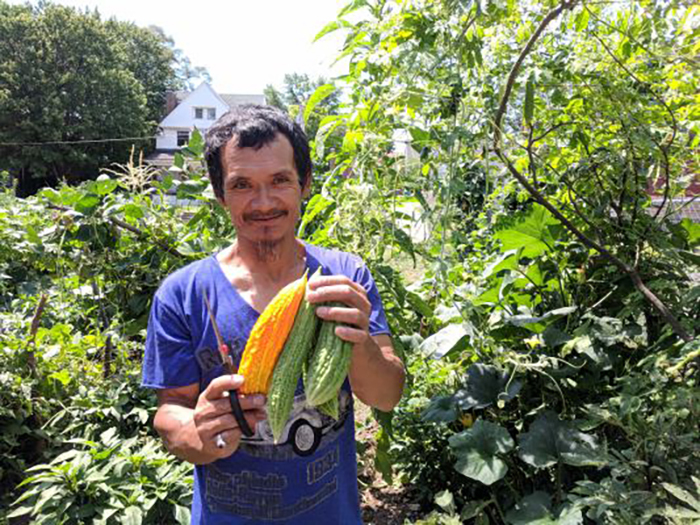 JVS coordinates with KCCG to help families graduating out of the JVS program to find new garden plots and access to the seeds, plants and gardening products that they need to continue raising food for their families. Previous StoryIt’s Time to Harvest Your Peanuts!